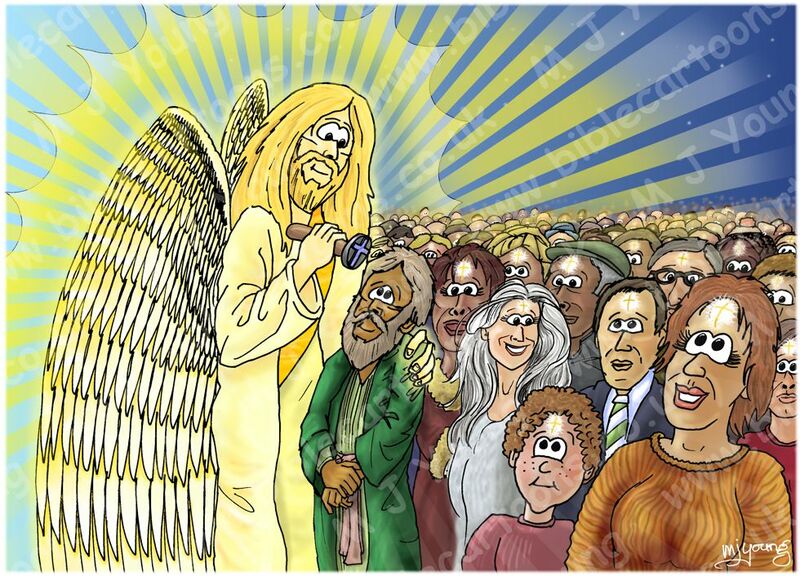 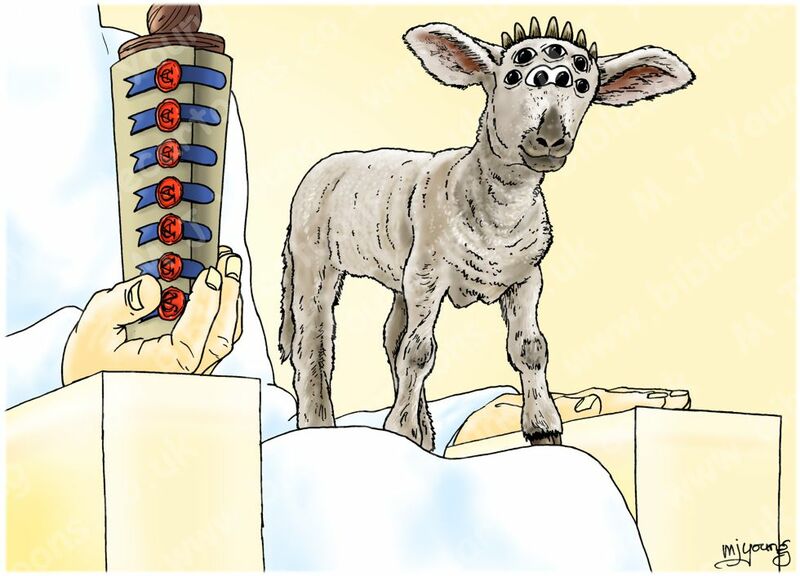 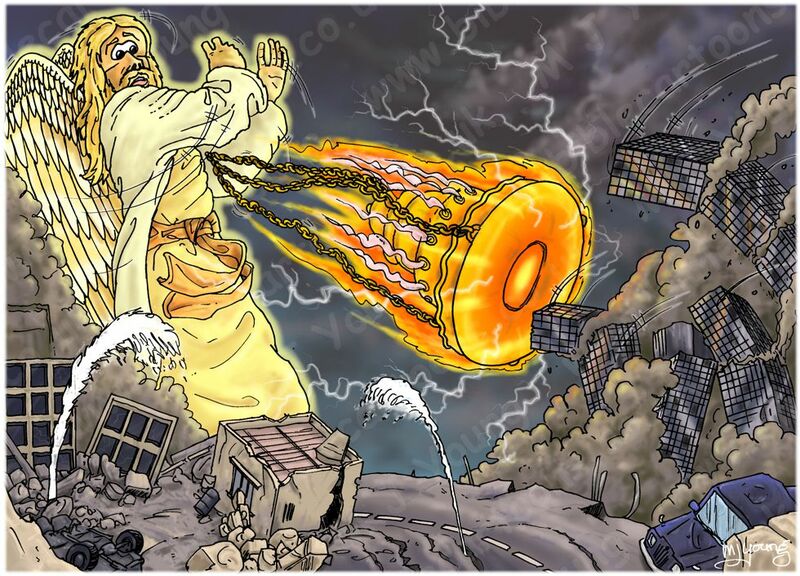 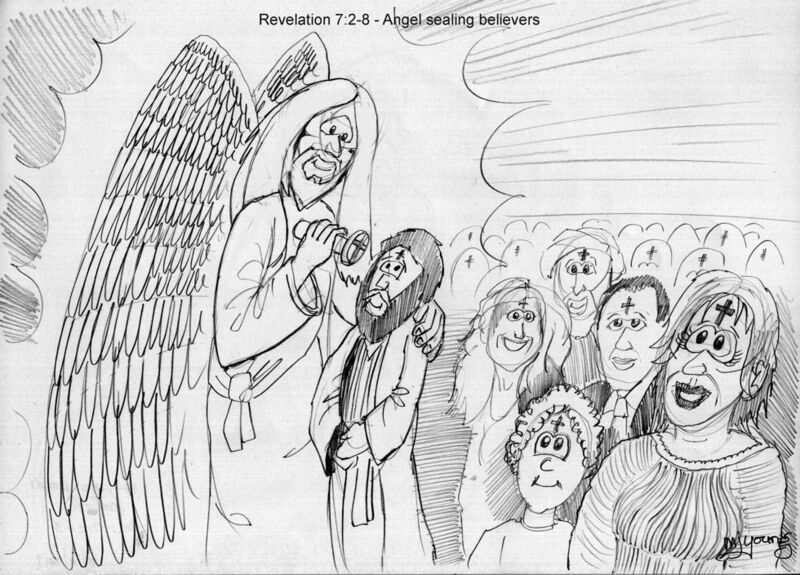 Bible Cartoons: Challenging Revelation cartoons I’m drawing! 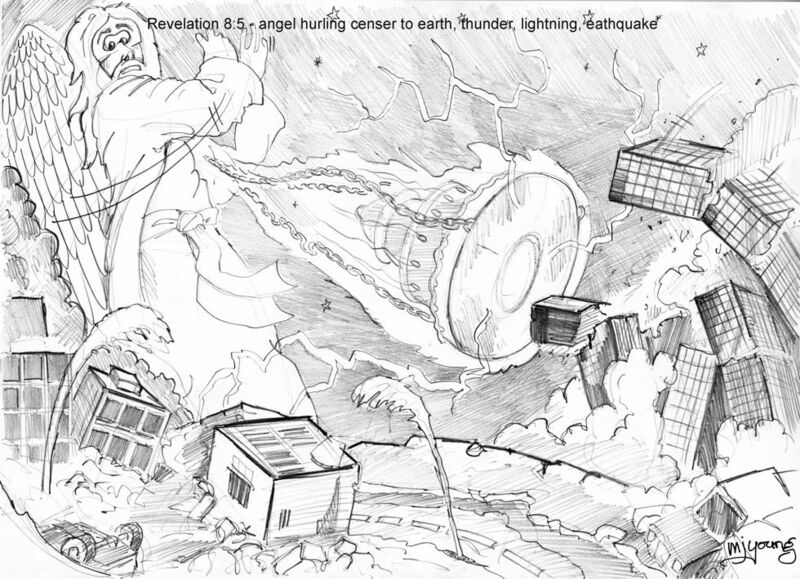 I’ve been asked to draw a few scenes from Revelation, which is the last book of the Bible. 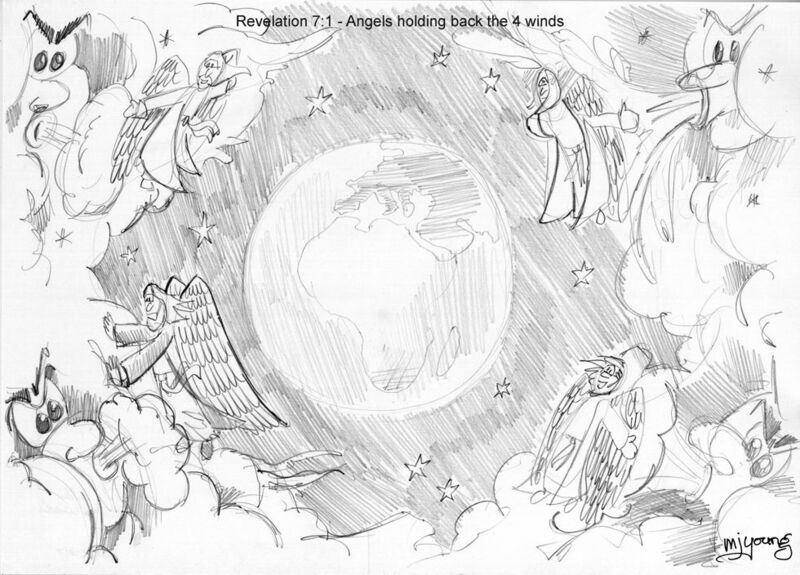 A lady in Texas, North America has asked for several scenes from Revelation chp 7 and 8. 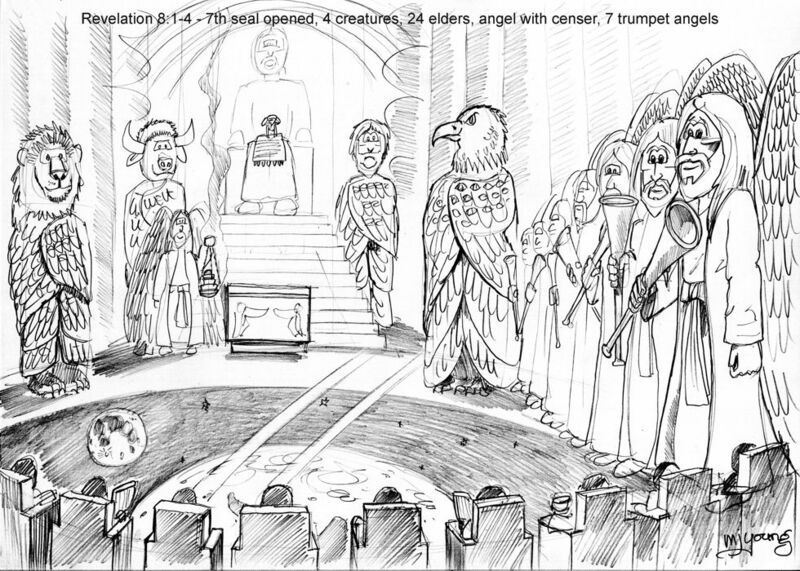 I’ve been wanting to draw from this intriguing book for a while, so the request suites me! 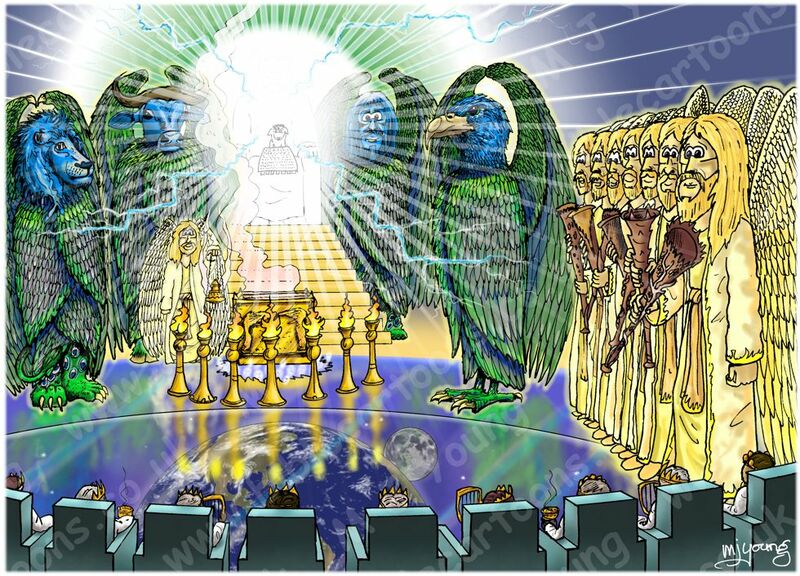 The 4 scenes above are my rough pencil sketches, which have been approved by the American lady, so now I can proceed to finished, full colour artwork. 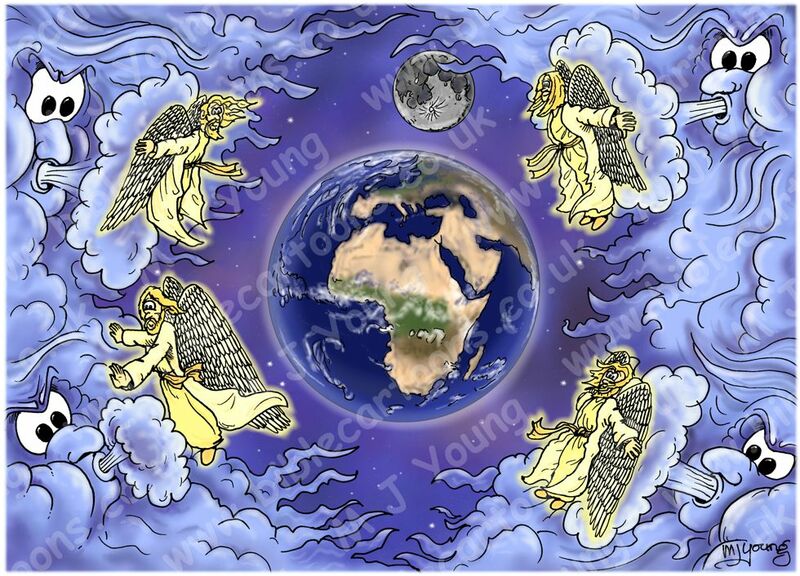 The pictures below are completed, full colour scenes.